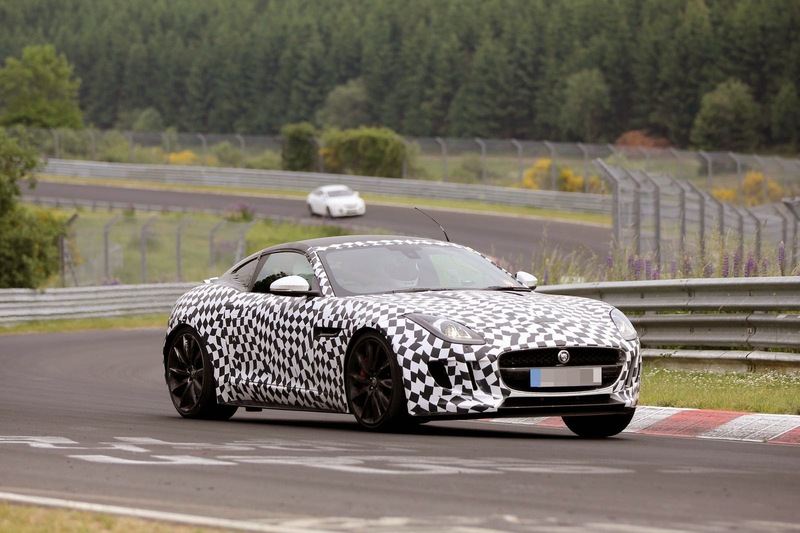 Two weeks ago we brought you Jaguar F-Type coupé spy shots. 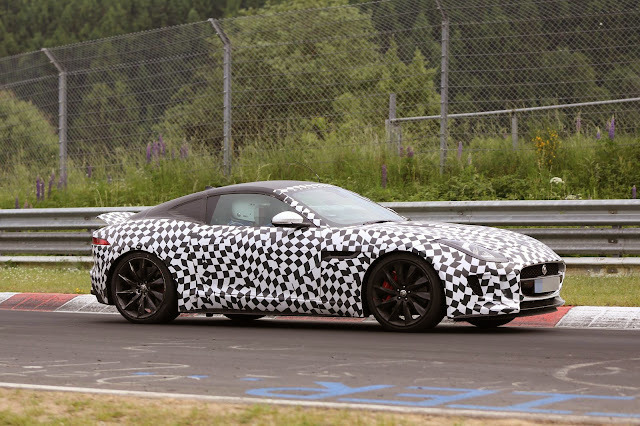 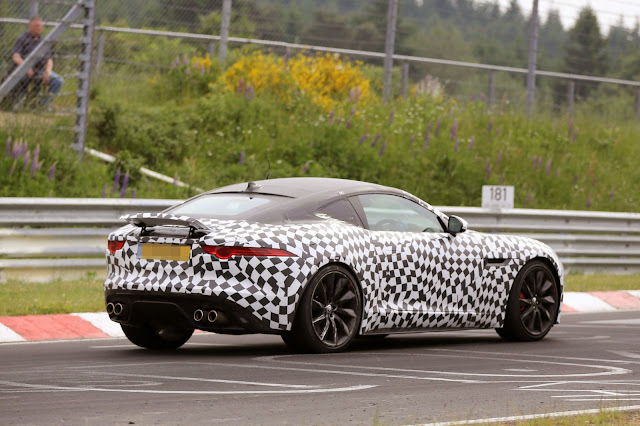 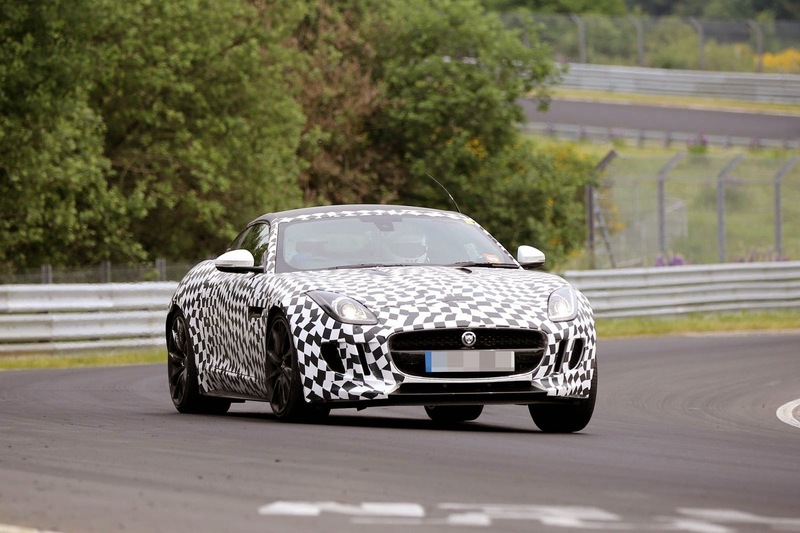 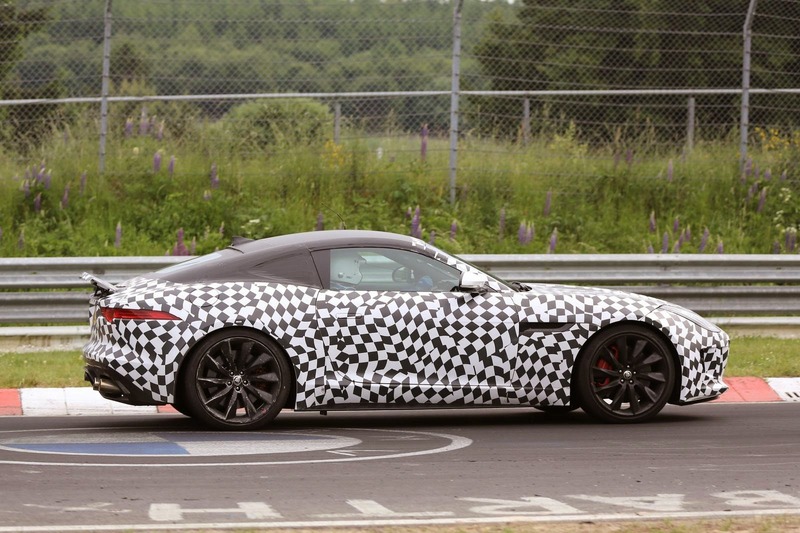 These latest spy shots of the F-Type coupé were taken at the Nurburgring and show in better clarity and more detail the transition from convertible to hard top. 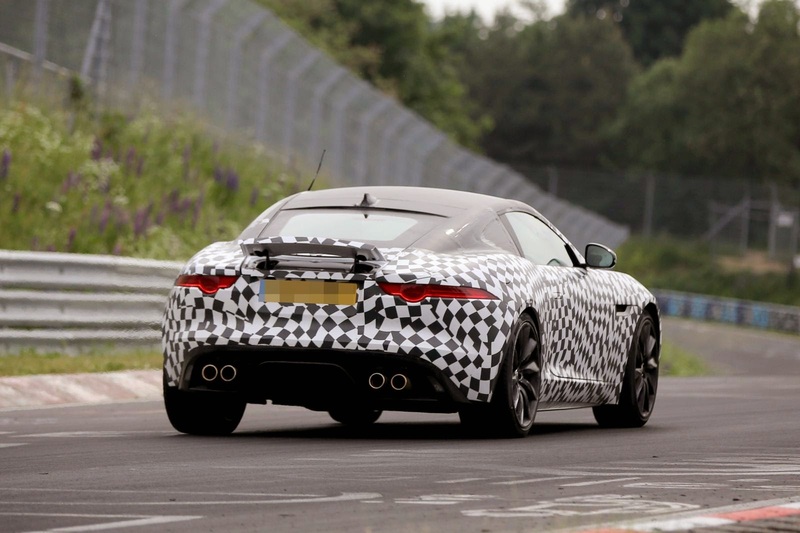 The integration of the roof into the rear of the car has been executed nicely. The F-Type looks similar to the XK at the rear quarters, with a hatchbook boot lid. The F-Type coupé looks like it'll be a sensationally pretty as the convertible.